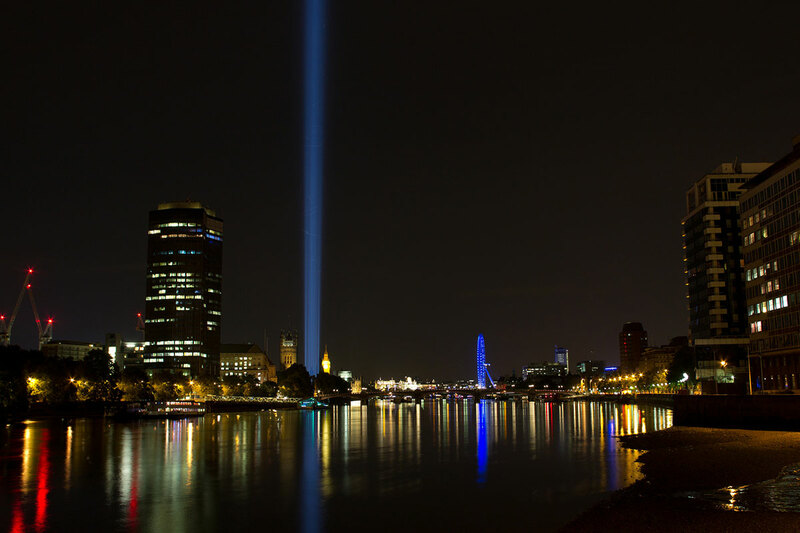 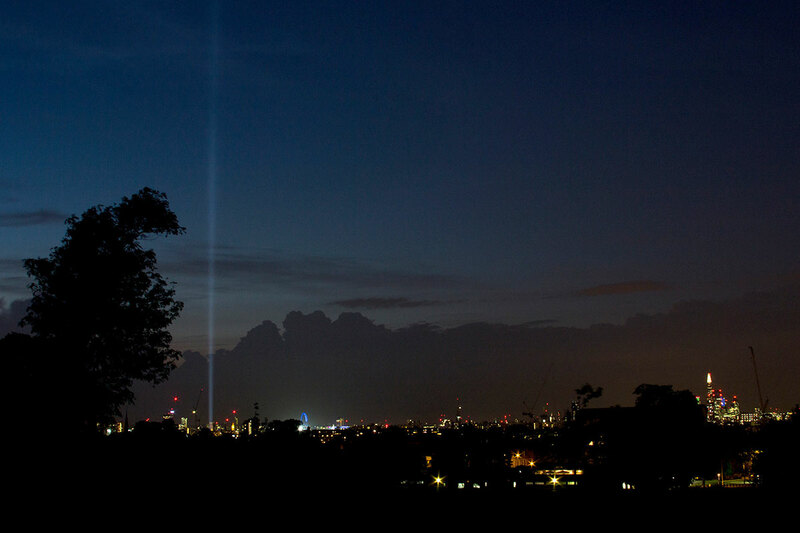 Over the past seven nights, London has played host to a stunningly beautiful light installation, Spectra, by the artist Ryoji Ikeda. 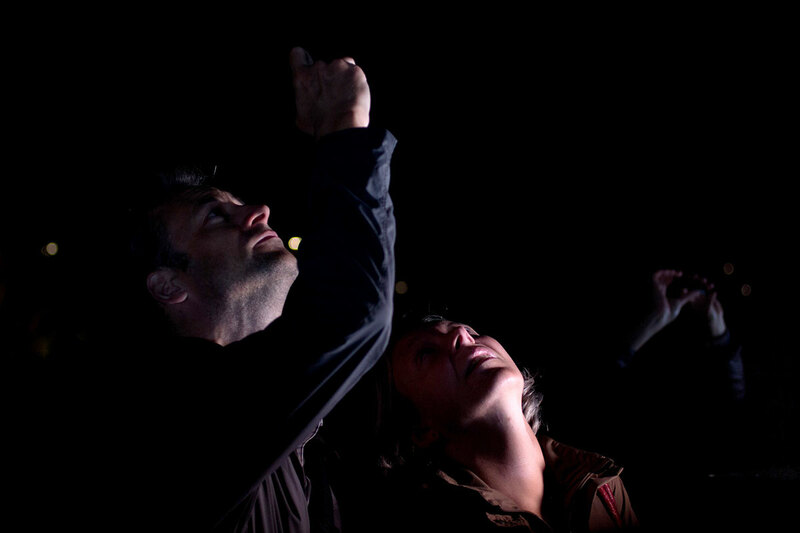 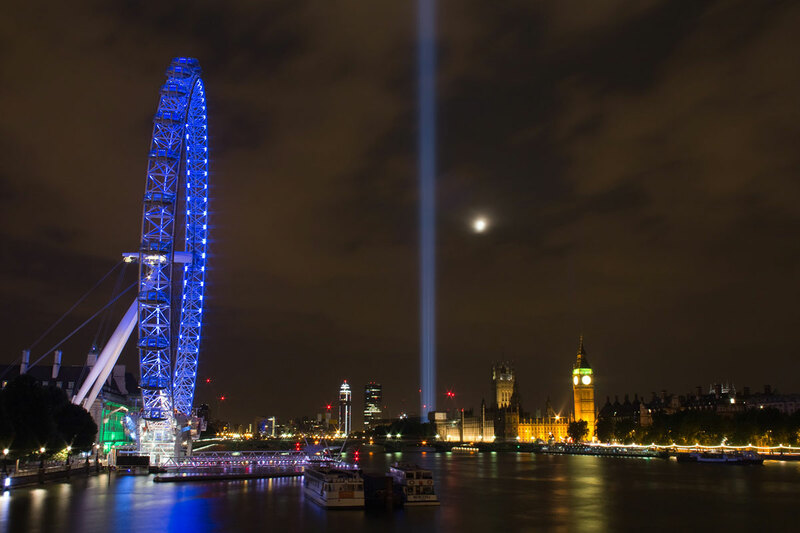 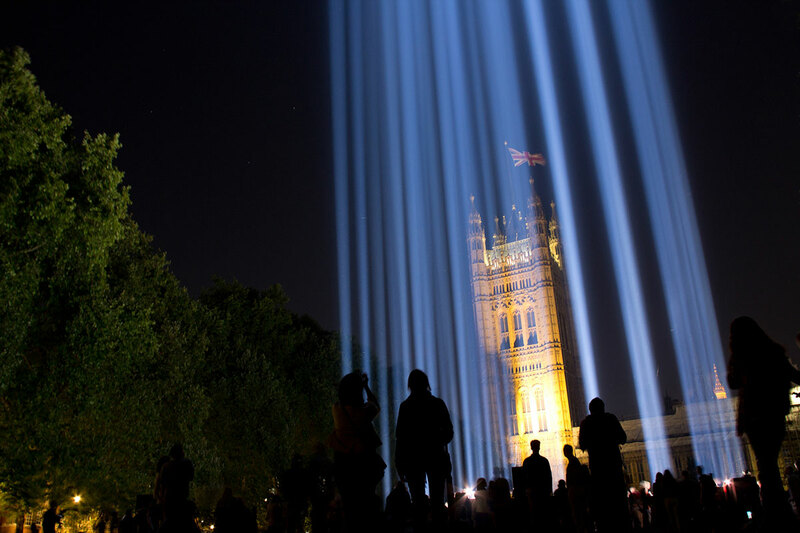 Installed at Victoria Tower Gardens, right next door to the Houses of Parliament, the installation (which ended at dawn this morning) consisted of a bank of forty nine static high-powered searchlights, grouped together in a 20 metre square grid, creating a single beam of light that shot up into the night sky. 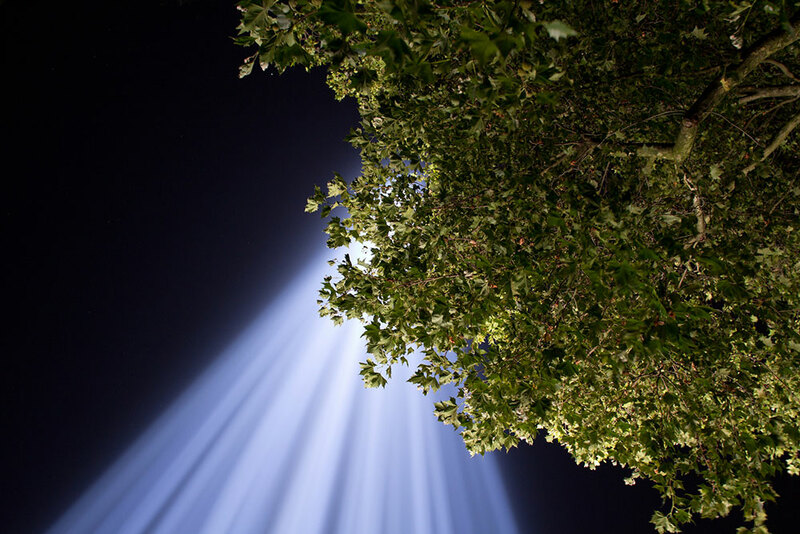 From afar the light looked elegant and faint, a thin line reaching up to the clouds; up close, where you saw just a portion of the whole beam, it became solid and powerful. 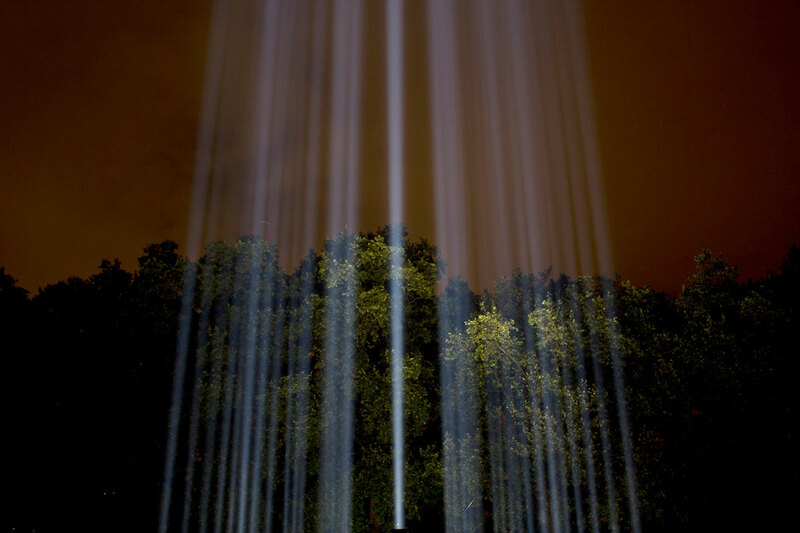 At the gardens themselves, Ikeda had composed an ambeint soundtrack to listen to as you wandered in and out amongst the lights. 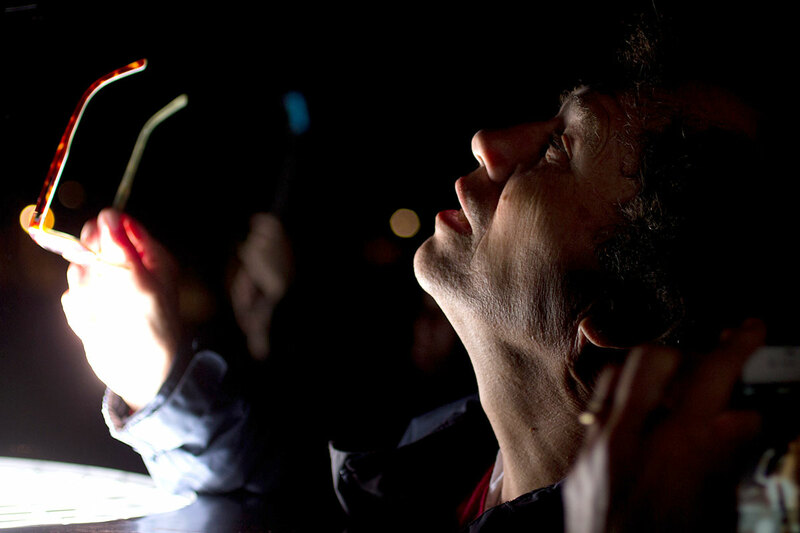 The atmosphere around the lights was remarkably peaceful, even with the large crowds drawn to the site each evening like moths to a flame. 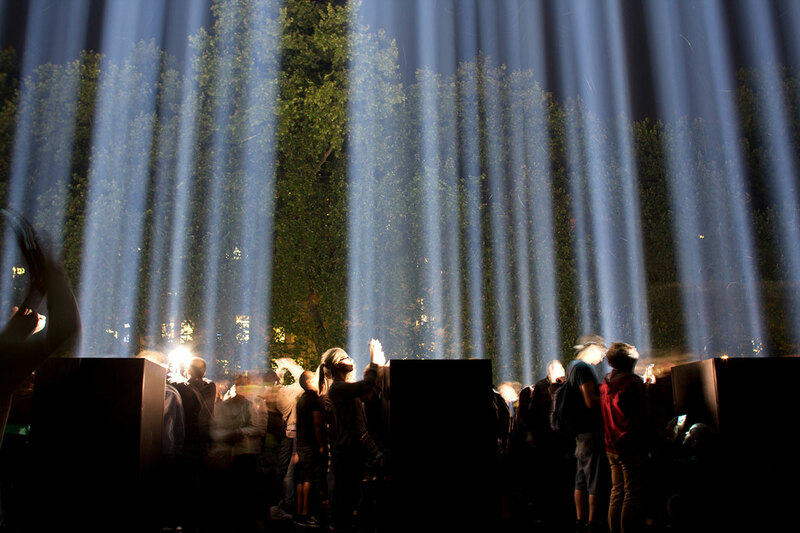 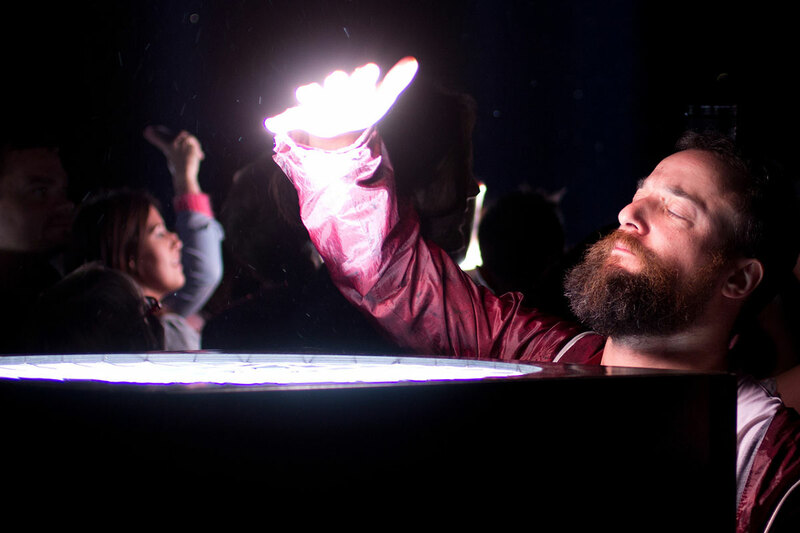 The installation has travelled the world over the past few years, appearing in different forms in different cities. 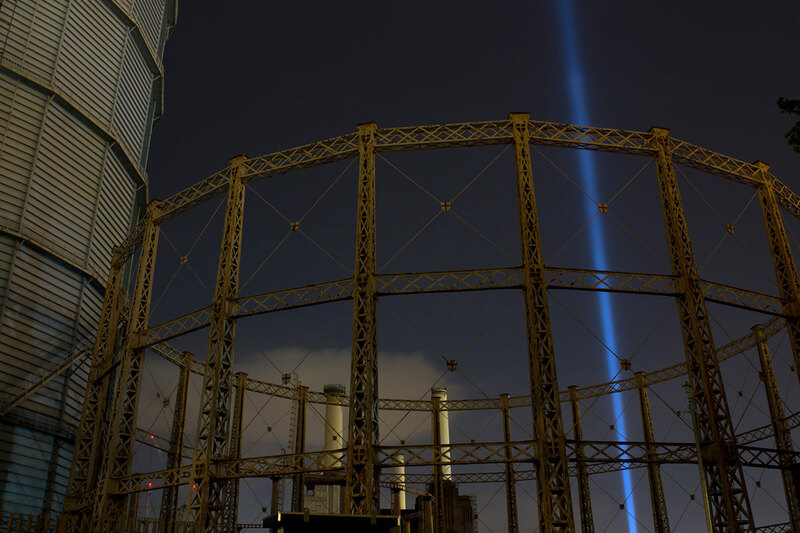 In London, presented by Artangel, it was one of a series of art commissions marking the centenary of the First World War. 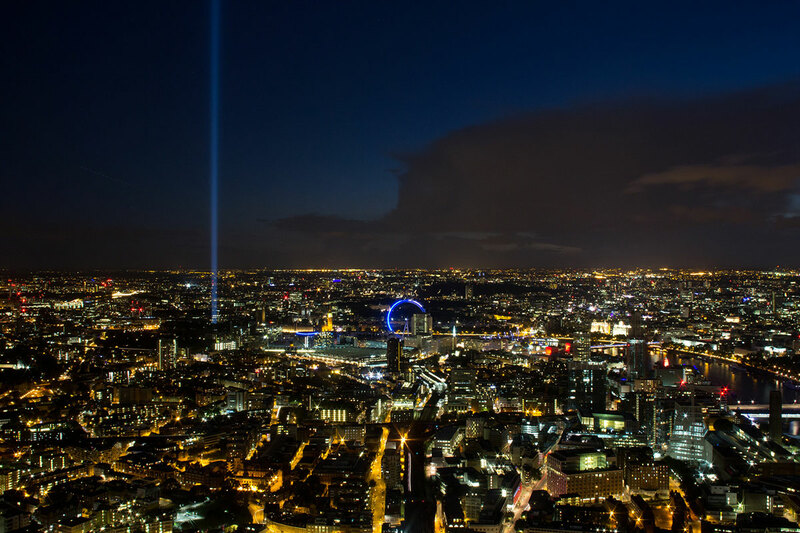 Our creative director and resident photographer Alistair has been out and about for the duration of the project, photographing it from various different perspectives.